Get shrunk! 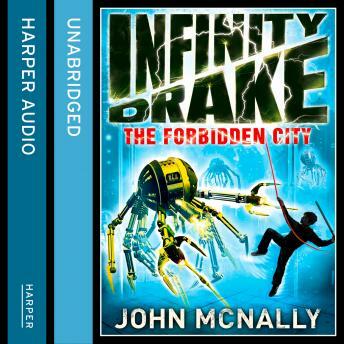 Humour and high-stakes combine in the action-packed Infinity Drake series. A BIG adventure with a tiny hero! Infinity Drake - Finn for short - is STILL only 9mm tall. But before his crazy scientist uncle can figure out a way to return him to his normal size, a new threat emerges on the other side of the world. Supreme villain, Kaparis, plans to release an army of self-replicating nano-bots - a hardware virus that will give him total control of global communications. Nano-bots: prepare to be cut down to size.